Sarahy is 47 years old and lives at home with her daughter. She has been making clothes for 8 years. Her sewing shop is in her home. She has many customers who likes the quality of the clothing. Profits help some household expenses. 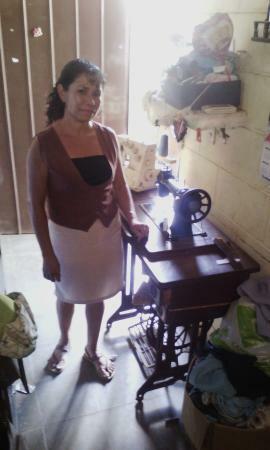 Sarahy requests a loan to buy thread, needles, a variety of fabric, buttons, rubber bands, etc. This will help her continue her work that generates good profits. Congratulations to Sarahy from El Salvador!